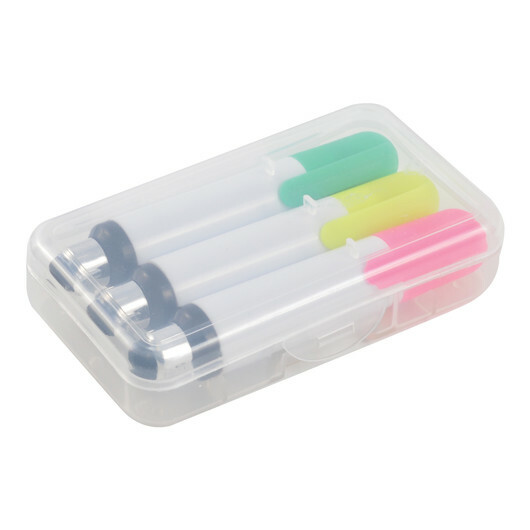 A pack containing wax highlighters/stylus combos. A must have to highlight your notes! Not only do these packs contain 3 mini highlighters, they also have black silicone styluses on each end that are suitable for touch screens. Decoration is on the box, with a colour of Pink, Yellow and Green highlighters included. 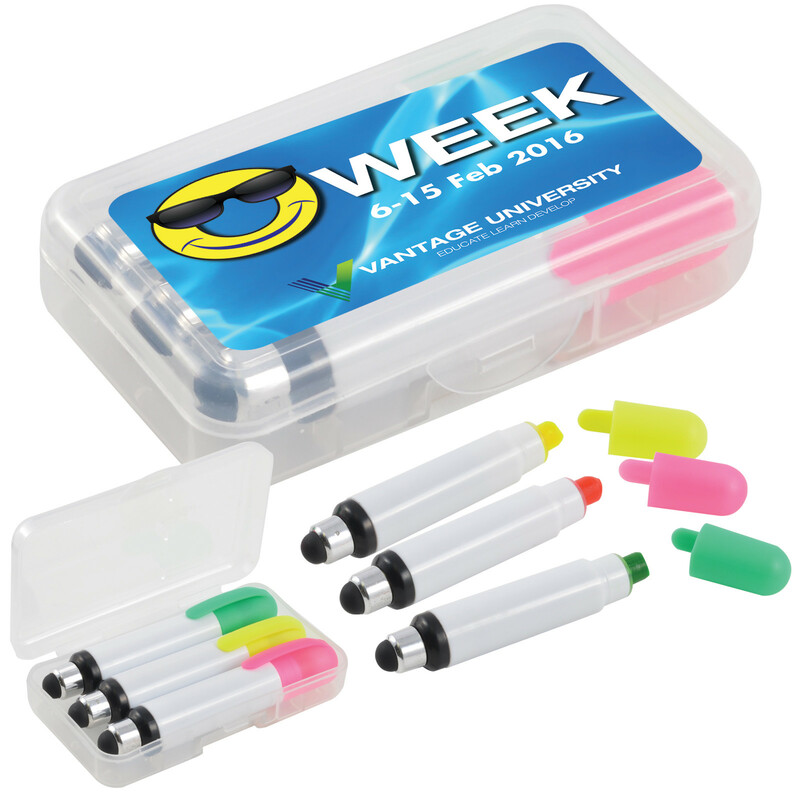 Wax highlighters are a great choice and have a superior shelf life to traditional options.